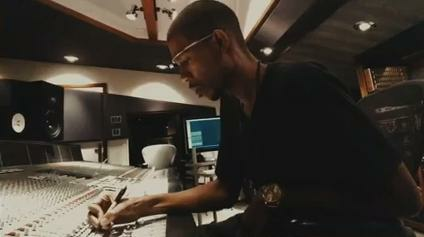 DJ and Google Glass explorer Young Guru uses Glass to create music. Google Glass users will soon be able to play their favorite tracks from Google Play, listening to them via a set of special earbuds. Google shared the new feature of its head-mounted device online on Tuesday saying Glass owners would "soon" to be able to accesses millions of songs through the Google Play music store. "In the next few weeks, we'll roll out a new voice command ("Okay Glass, listen to") so you can access your tracks from Google Play," the company said on it Glass Google+ page, adding that it will also introduce stereo lightweight earbuds designed specifically for Glass. They will be available with five interchangeable color caps and deliver full-range audio while still letting users hear their surroundings, Google said. Google did not immediately reply to a request for comment, but the buds will be available by the end of the month for US$85 dollars, The New York Times reported. A few more details about how the service will work were revealed in a video. A Google Glass user could for instance ask the device "what song is this?" to get information about a song that's audible in the direct vicinity, offering a feature similar to apps like Shazam and SoundHound, the video showed. Glass will be able to display the song and let the user to listen to it later. Glass users will get an email in the next few weeks with more details, Google said in the post. The music feature comes on top of the existing Google Glass offering that allow users to snap pictures, make hands free video recordings and see directions in its little heads-up display. Glass users can also access Google Translate, and ask general questions that can be answered by Google's search engine. For now, the $1,500 device is only sold to a limited number of U.S. residents who have applied through Google's Explorer program.